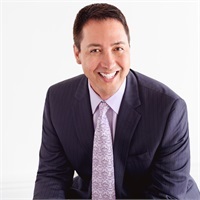 Anthony is Co-Partner at Ethos Wealth Management and has been a registered advisor since 2001. Anthony has maintained and established close personal working relationships to assist clients in seeking to preserve and invest their assets wisely. His focus is preserving capital, tax management, estate planning and using asset dedication to design tailored cash flow strategies. Anthony received a Master of Business Administration with an emphasis in Finance from the University of Redlands and he currently holds the CERTIFIED FINANCIAL PLANNER™ (CFP®) designation. To learn more about the CFP® designation, visitcfp.net. He also has his commercial pilot’s license, is a retired Commander from the Navy Reserve, and enjoys spending time with family, traveling and working out.